La Toya aka MsToya Robinson, has been dancing since she was able to walk. She was put into dance by her parents when she was just 3 years old and has been dancing ever since! 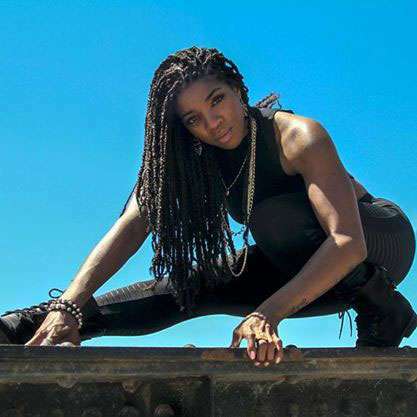 Technically trained in ballet, tap, jazz and gymnastics, she competed across North America with one of Canada's top dance studio, Canadian Dance Company. Travelling to America's top dance competition in South Carolina, MsToya and her studio won many championship titles and appeared on various tv shows. With the support of her parents, MsToya excelled at dance , but also in the world of sports. Playing baseball, volleyball, basketball and running track, she was named MVP in high school and played on many winning teams! Her love of sports continued past high school as she ventured on to work with almost all the major sports teams in Toronto. Starting in 2002, she was a dancer/cheerleader for the Toronto Bue Jays J-Cru, dancing at home games and pumping up the crowd during innings. For 3 seasons from 2002-2005, she was a part of the Toronto Raptors Dance Pak, dancing at all home games, doing charity work i the community and even travelling to El Paso, Texas and Newfoundland for some preseason games! In 2008 and 2009, MsToya worked with the Toronto Argonauts cheerleaders choreographing routines performed on field at the games and the CFL Grey Cup weekend. This past year, MsToya has had the opportunity to work with the Toronto Rock Lacrosse team cheerleaders choreographing game day routines for them! MsToya has also worked with the most sought after video director Little X, dancing in videos such as "Pon Di Replay" by Rihanna, Keshia Chante's "Bad Boy", and Mario's "Let Me Love You". In 2006, she performed with R&B singer Massari at the JUNO awards in Haifax and the Canadian Urban Music Awards in Toronto. Dancing for Massari she has had the opprtuinity to travel and see the world while doing what she loves. They have toured all over Europe, Australia, North Africa and the Middle East. In 2007,, MsToya was one of two dancers chosen to perform alongside Fergie of the Black Eyed Peas at the Much Music Video Awards in Toronto. In 2008, she performed with Akon, Karindal Offishall and Flor Rida at the MMVA's again and finally in 2009, with the Black Eyed Peas! MsToya has also made a few appearances on So You Think You Can Dance Canada assisting head judge Tre Armstrong and Choreographer/judge Luther Brown over all 4 seasons of the show. 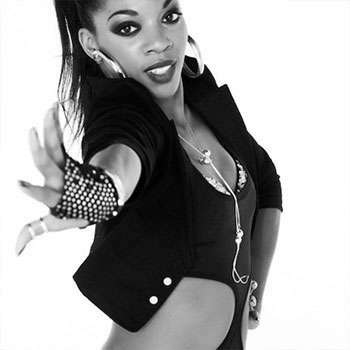 In 2011, MsToya spent the first 3 months in New York and Trinidad rehearsing with Rihanna's choreographer Tanisha Scott and dancing for Soca superstar Destra! MsToya was also casted as a featured tap dancer in the soon to be released movie Cobu 3D. She worked with choreographers Nappytabs of So You Think You Can Dance and the movie stars Derek Hough from Damcing with the Stars and Korean superstar BOA. Look out for the movie in early 2012! For TIFF this year, MsToya was a dancer for the world premiere movie "Breakaway" with Russell Peters, Rob Lowe and Ludacris. One of MsToya's latest projects was performing with So You Think You Can Dance Canada's judge and choreographer Blake McGrath, on his tours across Western Canada and Europe! Just this past New Years Eve, for the 3rd year in a row you may have seen her dancing at CityTV's NYE 2012 Bash dancing for Howie D of the Backstreet Boys! Stay tuned for more on this entertainer in and around Toronto!